Please find my teaching notes below to Pt. 6 of the Chosen series- a Study of the Book of Ephesians. I grew up near Amish country. 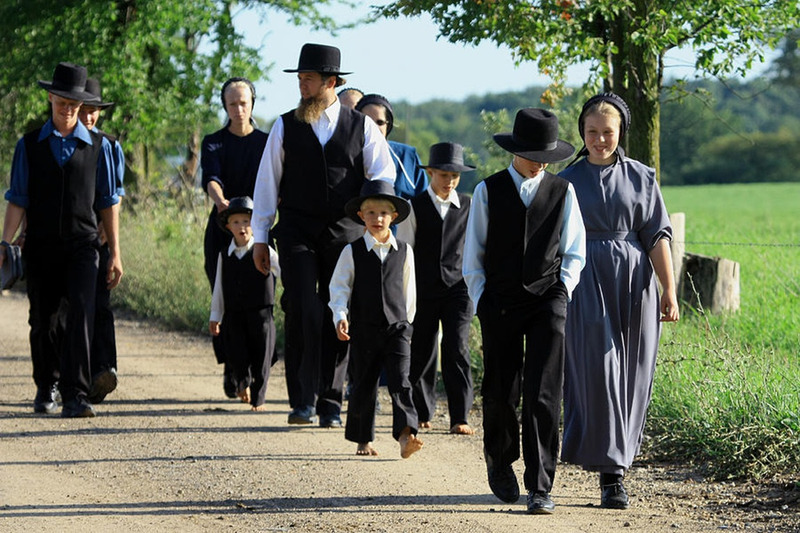 The Amish learn to live a certain way- no electricity, no cars, no stylish clothes, no “fun”… It isn’t hard to identify them…. ITS CULTURAL! Big Idea: If you’ve LEARNED about Christ, then LIVE like Christ! KEY: If you’ve been around church, you’ve heard that often- we tell people all the time, “You need to live like Jesus!” What we don’t tell them is HOW!! NOT ABOUT INFORMATION BUT ABOUT INFLUENCE! In this next section of Paul’s letter to the Ephesians he tells us the HOW TO LIVE LIKE CHRIST! NOTE: Eph. 4:17-24 17 With the Lord’s authority I say this: Live no longer as the Gentiles do, for they are hopelessly confused. 18 Their minds are full of darkness; they wander far from the life God gives because they have closed their minds and hardened their hearts against him. 19 They have no sense of shame. They live for lustful pleasure and eagerly practice every kind of impurity. 20 But that isn’t what you learned about Christ. 21 Since you have heard about Jesus and have learned the truth that comes from him, 22 throw off your old sinful nature and your former way of life, which is corrupted by lust and deception. 23 Instead, let the Spirit renew your thoughts and attitudes. 24 Put on your new nature, created to be like God—truly righteous and holy. NOTICE: “that isn’t what you LEARNED about Christ… you have LEARNED the truth that comes from him…” SO WHAT HAVE WE LEARNED? HOW DO WE LEARN IT?? YOU’VE LEARNED: YOU DON’T HAVE TO LIVE CONFUSED! 17 With the Lord’s authority I say this: Live no longer as the Gentiles do, for they are hopelessly confused. Is. 40:3 “Listen! It’s the voice of someone shouting, “Clear the way through the wilderness for the LORD! Make a straight highway through the wasteland for our God!” -referring to the role of John the Baptist. Is. 43:19 “For I am about to do something new. See, I have already begun! Do you not see it? I will make a pathway through the wilderness. I will create rivers in the dry wasteland.”- referring to Jesus’ mission! Jesus is “the WAY, the TRUTH, and the LIFE” (John 14:6)!” He brings clarity and certainty to your life! Jesus’ life is the life we are called to live. Just look at Jesus and you know how to live- you find your DEFINITION, DIRECTION, DESTINY! HOW?? FOLLOW THE WAY! Jesus invited his disciples into a “lifestyle”, a “community”, a “circle of influence.” YOU DON’T FOLLOW AIMLESSLY OR ALONE!! ILL. “Don’t FOLLOW THE CROWD…” What’s the mean, why do people say that? FOLLOW THE COACH, THE COMMUNITY! You FOLLOW after Jesus by FOLLOWING those whose lives look a lot like Jesus! You NEED a church community. You NEED a Life Group. You NEED spiritual mentors. You NEED to be a spiritual mentor! SHOWING AND SHARING!! SO- if you’re not yet connected to a “coach” or “Life Group” GET CONNECTED!! YOU’VE LEARNED: YOU DON’T LIVE WITH A CLOSED MIND! 18 Their minds are full of darkness; they wander far from the life God gives because they have closed their minds and hardened their hearts against him. 19 They have no sense of shame. They live for lustful pleasure and eagerly practice every kind of impurity. Paul implies that having a “closed mind” is an action or decision you make not something that merely happens to you. Like having the power to open or close a door, you have the power to open or close your mind to the truth/life of Jesus Christ! In Acts 17 Paul says that “God is not far from any of us!” That’s a powerful and profound statement. It means that God is engaged in an ongoing effort to reveal himself to us, to relate Christ to us. He does this through our conscious. He does this through our convictions. He does this through our circumstances. ILL. As a teen, closing my door, pillow over head, so I wouldn’t hear my mom’s prayers at night for me and my dad! Paul says that we can close ourselves off from God! WHAT’S THAT LOOK LIKE? WE QUIT… church, we quit the Life Group, we quit the good relationships… People who are growing to look and live like Christ are ENGAGED, OPEN, TEACHABLE, CORRECTABLE… The reverse is true of those who CLOSE THEMSELVES OFF FROM GOD AND GODLY INFLUENCES! We can shut ourselves off from God and choose to live in our own “little world- IN DARKNESS!” Because when you “shut God out” you “shut out the light!” You choose to live in the dark… your heart becomes hardened, you lose your sense of shame, you subject yourself and practice what only further pollutes your life! LIVING LIKE JESUS IS NOT SO MUCH ABOUT OUR ACTIONS AS IT IS ABOUT ACCOUNTABILITY! OPEN THE DOOR! HOW?? Choose to be accountable! ACCOUNTABILITY IS GIVEN! YOU “OPEN the DOOR” to accountability, YOU INVITE IT, through mentoring relationships- which is true discipleship. You live your life out in the open through relational connectivity that is conducive to looking and living a lot like Christ! WHO ARE YOU BEING ACCOUNTABLE TO? YOU’VE LEARNED: YOU DON’T LIVE CORRUPTED! 20 But that isn’t what you learned about Christ. 21 Since you have heard about Jesus and have learned the truth that comes from him, 22 throw off your old sinful nature and your former way of life, which is corrupted by lust and deception. Paul reminds the Ephesians that they had “learned” to live differently, “learned” about Christ, “learned” the truth that comes from him. WHAT HAD THEY LEARNED? This phrase, “learned Christ” doesn’t appear anywhere else in the NT! No where else does Paul use it. The point is emphatic: YOU DIDN’T TAKE A COURSE ON CHRIST, YOU LEARNED TO BE CRUCIFIED WITH CHRIST! Paul is saying that YOU CAN’T TAKE A COURSE! YOU “FOLLOW THE COURSE” (CRUCIFIED WITH CHRIST)! Fly fishing in Montana. Brian Carpenter. The “class” was on the river!! Wasn’t long I was “putting on” the fly fishing persona. “Putting on” the outfit, the wadders, the shirt, the vest; I not only looked like a fly fisherman, I could fly fish! PUT ON NEW CLOTHES! Paul says, “Look and live like Christ!” Rom. 13:14 “Clothe yourself with the presence of the Lord Jesus Christ. And don’t let yourself think about ways to indulge your evil desires. HOW?? We “dress” for the occasions- right? Fly fishing… So, to look and live like Christ we need to DRESS ourselves with the wardrobe Paul defines in Eph. 6:13-18…. WARFARE!!! DO LIVE LIKE CHRIST! 23 Instead, let the Spirit renew your thoughts and attitudes. 24 Put on your new nature, created to be like God—truly righteous and holy. ILL. 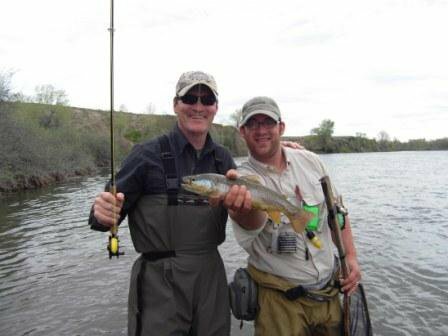 When I was on the river with Brian, dressed like a fly fisherman, had the fly fishing gear, was fly fishing with a master fly fishing guide… YEAH, I STARTED TO BELIEVE I WAS A FLY FISHERMAN!! My attitude changed, I began to think differently. Sure, you can learn to fly fish on your own… But, to have an expert teach you, show you, train you, be right there with you, encourage you… that changes everything! THE BEST WAY TO LEARN CHRIST, LOOK LIKE CHRIST, LIVE LIKE CHRIST, IS IN THE CONTEXT, CULTURE, AND COMMUNITY OF TRUE CHRISTLIKE PEOPLE! Notice our “wardrobe!” It’s all about warfare!! I NEED THE CHURCH, A COMMUNITY OF FAITH TO HELP ME “LEARN CHRIST!” I NEED “COACHES” AND THE “CHURCH!” That’s how you “learn Christ! (c) 2014, Terry Broadwater. For personal use only. All other uses please contact info@gccnetwork.org.